Dementia is a highly complex and challenging condition. It can present differently from person to person, having a huge impact on the patient, their family and their carers. 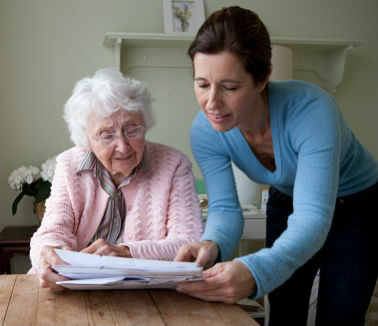 The new NICE guideline highlights the need to properly train staff and says that carers should be helped to improve support for people living with dementia. The recommendations focus on person-centred support, placing a particular emphasis on involving people with dementia in every decision about the care they receive. The guideline also discusses the various forms of dementia, how it may affect individuals in different ways and how support will, therefore, be adapted for each person. Everyone diagnosed with dementia should have an individual care plan that is reviewed at least once a year. However, Age UK has found one in three people with the condition do not have a care plan. And data from more than 7,000 GP practices in England showed that, out of 450,000 people diagnosed with dementia in November 2017, under 300,000 had a care review in the preceding year. As dementia is a progressive condition, regular review is essential to ensure care needs continue to be met. The new NICE guideline calls on health and social care professionals to develop this much-needed care and support plan. We recommend they do this by involving the person, their family or carers and relevant professionals. It is also important they specify when and how often the plan is reviewed, and that they evaluate and record progress towards the objectives at each review. The recommendations align with the government’s ambitions for dementia care. They also chime with the recently published guidance from the Department of Health and Social Care on what to expect from health and care services after a diagnosis of dementia. There are over 850,000 people in the UK with dementia, and this figure is expected to double in the next 30 years.